Thanks to Season 5, Lostpedia's number of articles has increased dramatically with all the revelations hitting our way. We've now reached the 5000 page mark, with the article Jughead (bomb) being the exact page that tipped the scales. 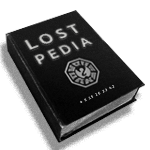 With this many pages, you seriously can spend days reading Lostpedia content! But we all already knew that.